PDF Download! 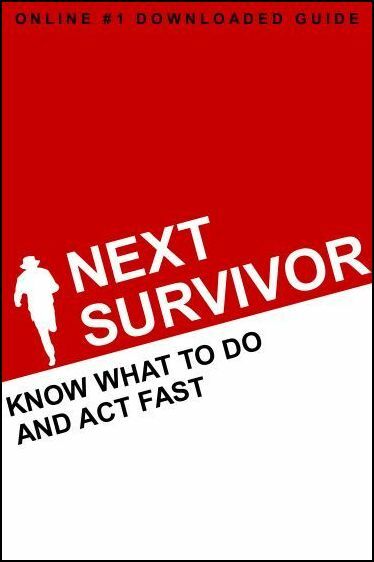 The Next Survivor guide, by DIP Reviews! My brain has always felt like it had a door inside. A door that I spent every day of my life holding shut. Sometimes it wouldn’t require a lot of effort. Other times I would feel like the weight of my entire being was pressed up against this door. It is exhausting every day holding it shut. What’s behind the door? Honestly I have no idea. Childhood trauma, grief- who knows? That’s for the therapist to hopefully figure out.. when I eventually get one. All I know is that behind it, is every bad feeling, every bad thought I have ever had and that until a professional gets in there and clears it out, it needs to remain shut. Last year I decided that I needed other things in my life to help make me feel that I was more than just my door. I started exercising regularly, reconnected with friends and had a job I adored. It was probably the best year of my life since I lost my Mum in 2014. And then one day in September playing netball I ruptured my Achilles. Like sand slipping through my fingers I lost everything I had worked so hard to build up. I was basically housebound for 2 months, couldn’t work, couldn’t leave, couldn’t wash my hair without help. One by one every good thing about me was lost until all that was left was what I started with at the beginning. My door. I started drinking, sleeping around, spiralling out of control, which was pretty hard to do wearing an orthopaedic boot. My friends noticed but couldn’t stop me; nothing can ever stop me. And whilst I was distracted in this one woman mission to destroy my life, slowly the door began to open. I didn’t even notice at first until one night, that I’ll go into a bit later on, it all came crashing through. I looked at my life, I looked at myself, my soul and all I saw was dark. I brought nothing to the table. It is a horrible moment in your life when you realise you cause more sadness in this world than you bring happiness. The pain I was feeling is only worth it when you have something to fight for. What was the point in fighting for someone that had no reason to be fought for. And so I stopped fighting. I tried to end it. As I said I will go into that further. But for now all you need to know is that that was my rock bottom. When someone says you need to hit the ground to get back up again, I don’t think I could have got any lower or been hit any harder. I remember being in A and E the next day speaking with a mental health nurse who casually asked, “has anyone said to you that you have traits of borderline personality disorder?”. My answer ‘no’. My thought ‘what is borderline personality disorder?’. It has been 2 months since that day and although I have not yet had my formal diagnosis, I have borderline personality disorder. These are my words, these are my thoughts and this is my way of explaining them to the world but most importantly, my way of explaining them to myself.